Who is called a “ruler of the Jews”. After speaking of the necessity of a man being born again before he could “See the kingdom of God”, Jesus spoke also of “heavenly things” And of salvation and the condemnation of those that do not believe in Jesus. 16: For God so love the world, that he hath given His only Son, that none that believe in Him, should perish: but should have everlasting life. BY-LAWS for Congregation, where it says International Assembly of Churches you need to add your own corporation names. Note: please take in consideration of your own Country, States or Provinces and your location for the local government laws, in this form we use Taxation Code of United States of America you must replace them by your own country code of law and article/section number. Note: the leader of a church is the Minister/Pastor Executive Director or a Christian Corporation is the Executive Director, both are under a Bishop. The formal code of doctrine and discipline from the IAoC Code of Canon Law 1978 to 2019. Last edition 2014 plus yearly updated and including this Constitution and Bylaws. Believe in the Lord Jesus Christ for eternal life through His death and the power of His resurrection. Believe the Bible to be God’s word and the revelation of His will to man and accept it as our rule for faith and conduct. Believe Christian fellowship, mutual edification and evangelical effort, in the form of local churches, is God’s ordained order for His people. Believe God has called and anointed us to emphasize the fullness of the Gospel through the Baptism of the Holy Spirit. Therefore, we have accepted and adopted the following Statement of Fundamental Truths and Constitution. We shall seek, by the grace of God, to be governed by the Constitution as set forth, and will also seek to teach and propagate the doctrines contained in the Statement of Fundamental Truths. The scriptures inspired. The Bible is the inspired Word of God, a revelation from God to man, the infallible rule of faith and conduct, and is superior to conscience and reason, but not contrary to reason (2 Timothy 3:15, 2 Timothy 3:16, 1 Peter 2:2). The one true God. The one true God has revealed himself as the eternally self-existent, self-revealed “I AM” and has further revealed Himself as embodying the principles of relationship and association, i.e., Father, Son, and Holy Spirit (Deuteronomy 6:4, Mark 12:29, Isaiah 43:10, Isaiah 11, Matthew 28:19). Man, his fall and redemption. The man was created good and upright for God said, “Let Us make man in our image, after our likeness.” But man, by voluntary transgression, fell and his only hope of redemption is in Jesus Christ the Son of God (Genesis 1:26-31, Genesis 3:1-7, Romans 5:12-21). Conditions of Salvation. The grace of God, which brings salvation, has appeared to all men, through the preaching of repentance toward God and faith toward the Lord Jesus Christ; the washing of regeneration and the renewing of the Holy Spirit, and being justified by hope of eternal life (Titus 2:11, Romans 10:13-15, Luke 24:47, Titus 3:5-7). Evidence of salvation. The inward evidence to the believer of his salvation is the direct witness of the spirit (Romans 8:16). The outward evidence to all men is a life of righteousness and true holiness. Baptism in water. The ordinance of baptism by a burial with Christ should be observed as commanded in the scriptures by all who have repented and believed in Christ as Savior and Lord. In so doing, they have the body washed in pure water as an outward symbol of cleansing, while their heart has already been sprinkled with the blood of Christ as in inner cleansing. They declare to the world that they have died with Jesus and been raised with Him to walk in newness of life (Matthew 28:19, Acts 10:47, Acts 48, Romans 6:4, Acts 20:21, Hebrews 10:22). The Lord’s supper. The Lord’s supper, consisting of the elements, bread and the fruit of the vine, is the symbol expressing our sharing the divine nature of our Lord Jesus Christ (2 Peter 1:4), a memorial of His suffering and death (1 Corinthians 11:26), a prophecy of His second coming (1 Corinthians 11:26), and is enjoined on all believers until He comes. All people who turn from their sins and put their faith in the finished work of Jesus Christ receive a new birth by which their life is regenerated by the power of God’s Holy Spirit (John 3:3-6, Titus 3:5). From that time forth the regenerated person has God’s Holy Spirit dwelling within them enabling them to live a holy life (1 Corinthians 3:16, 2 Peter 1:3-4). Also giving them the power to be witnesses for Jesus Christ (Acts 1:8). The promise of the Father. All believers are entitled to the promise of the Father and the baptism in the Holy Spirit according to the command of our Lord Jesus Christ. This was the normal experience in the early Christian Church. With it comes a deeper spiritual life and service, the bestowment of the gifts and their uses in the work of the ministry (Luke 24:49, Acts 1:4, 1 Corinthians 12:1-31). This wonderful experience is distinct from and subsequent to the experience of the new birth (Acts 10:44-46, Acts 11:14-16, Acts 15:7-9). Instant or positional sanctification. This is what happens to every person who puts their trust in the finished work of the Lord Jesus Christ. When we are saved through faith in Jesus, we are sanctified in the eyes of God through the blood of the cross. As God the Father looks at us, He sees the holiness of Jesus, which is imputed to us and does not see our sin (Hebrews 10:10, Hebrews 14). Progressive or practical sanctification. This is the process by which we strive to live on a day to day basis by considering ourselves dead to sin and alive to God in holy living through the power of God’s divine nature within our lives (Romans 6; Philippians 2:12, Philippians 2:13, 2 Peter 1:3, 2 Peter 1:4). Final sanctification. This is when we are totally set free from the presence of sin within our life after seeing Jesus our Lord and being made like Him because of seeing Him as He really is in all His glory (1 John 3:2). The church. The church is the body of Christ, the habitation of God through the spirit with divine appointments for the fulfillment of her great commission. Each believer, born of the spirit, is an integral part of the church, which is written in heaven (Ephesians 1:22, Ephesians 1:23, Ephesians 2:22, Hebrews 12:23). The ministry and evangelism. A divinely called and scripturally ordained ministry has been provided by our Lord for the evangelization of the world and the edifying of the body of Christ (Mark 16:15-20, Ephesians 4:11-13). Divine healing. Deliverance from sickness is provided for us in the atonement and is the privilege of all believers (Isaiah 53:4, Isaiah 53:5, Matthew 8:16, Matthew 8:17). The blessed hope. The resurrection of those who have fallen asleep in Christ and their translation, together with those who are alive and remain unto the coming of the Lord, is the imminent and blessed hope of the Church (1 Thessalonians 4:16, 1 Thessalonians 4:17, Titus 2:12, 1 Corinthians 15:51, Romans 8:23). The millennial reign of Jesus. The revelation of the Lord Jesus Christ from heaven, the salvation of national Israel, and the millennial reign of Christ on earth are the scriptural promise and the world’s hope (2 Thessalonians 1:17, Revelation 19:11-14, Romans 11:26, Romans 11:27, Revelation 20:1-7). The lake of fire. The devil and his angels, the beast and the false prophet, and whoever not found written in the Book of Life, shall be consigned to everlasting punishment in the lake, which burns with fire and brimstone, which is the second death (Revelation 19:20, Revelation 20:10-15). The new heavens and the new earth. We, “according to His promise, look for new heavens and a new earth wherein dwells righteousness” (2 Peter 3:13, Revelation 21, Revelation 22). As stated in the Articles of Incorporation, the name of the corporate church shall be your Corporation Name member of the Interdenominational Assembly of Churches. To establish a Biblical Christian Church with a School of the Bible department and with missionary, literature, educational and all other departments it may deem useful to propagate and practice the full Gospel of the Lord Jesus Christ and for its service to the community. It is one purpose of this local church corporation to earnestly seek and promote the unity of God’s people in the Scriptural manner of Godly love, respect and faithful voluntary cooperation with liberty. To that end, it shall associate and cooperate freely with other churches and with church organizations. To act as Trustee under any trust incidental to the principal objects of the corporation and to receive, hold, administer and expend funds and property subject to such trust. To enter into, make, perform and carry out contracts of every kind for any lawful purpose without limit as to amount and with any person, firm, association or corporation; to draw, make, accept, endorse, discount, issue and execute promissory notes, warrants and other negotiable or transferable interests. To take, purchase or otherwise acquire; to own, hold, occupy, use and enjoy, manage, improve, develop and work; to grant, sell, exchange, let, demise and otherwise dispose of real estate, buildings; and improvements and every night, interest and estate therein without limit as to the amount thereof and wheresoever the same may be situated; to erect, construct, alter and repair buildings; to assume any and every kind of contract, agreement and obligation by or with any person, firm, corporation or association, or any Federal, State or other Government for the erection, construction, alteration, repair, renewal, equipment, improvement, development, use, enjoyment, leasing, management or control of any buildings, improvements or structures of any kind wherever the same may be situated. To purchase or otherwise acquire, to own, hold, use and enjoy, to sell, assign and transfer, exchange or otherwise dispose of, deal in or deal with the personal property of every kind and description without limit as to the amount thereof and wheresoever the same may be situated. To borrow and to loan money and to give and to receive evidence of indebtedness and security thereof; to draw, make accept, endorse, execute, and issue promissory notes, warrants, and other debentures of the corporation, or otherwise to make guarantees of every kind and secure any or all obligations of the corporation by mortgage, trust deed or otherwise. To do all other acts necessary or expedient for the administration of the affairs and attainment of the purposes of the corporation and to have and exercise all the powers now or hereafter conferred by the Laws of the State of Your State, upon non-profit corporations. This corporation is organized pursuant to the General Non-Profit Corporation Law of the State of (insert your state); the property of this corporation is irrevocably dedicated to religious and charitable purposes, and upon liquidation, dissolution, or abandonment, shall not inure to the benefit of any private person except a fund, foundation, or corporation organized and operated for religious or charitable purposes and as designated in Article X of this Constitution. The ordinance of Baptism by immersion in the Name of the Father, and of the Son, and of the Holy Ghost as commanded in the Scriptures, shall be administered to all those who have believed on the Lord Jesus Christ to the saving of their souls and who give clear evidence of their fruit (Matthew 28:19, Colossians 2:12). The ordinance of the Lord’s Supper shall be observed regularly as a part of public worship, as commanded by the Lord (Luke 22:19, 20; I Corinthians 11:23-26). Infants and small children may be dedicated to the Lord in the church upon the request of the parents or guardians (Mark 10:13-16; Luke 18:15, 16). The ministration of laying on of hands accompanied with the anointing with oil, for the healing of the sick, shall be granted as a request is made and the need may require (Mark 16:18; James 5:14). Membership in the Interdenominational Assembly of Churches shall be eligible to all who give evidence to their faith in the Lord Jesus Christ and who voluntarily hold to the fundamental doctrines of the Christian faith. When a person chooses to be a part of the Interdenominational Assembly of Churches and involve themselves, they are automatically considered a member (Ephesians 4:16). A member is one who attends regularly, serves at and contributes financially to EMMI Interdenominational Assembly of Churches as a corporate member of the association of churches and para-churches. The officers of the Interdenominational Assembly of Churches shall consist of a President, a Vice-President, and Secretary-Treasurer. The Minister shall be considered the President of the Corporation. There shall not be less than three (3) and no more than nine (9) officers (directors) at any time. The board of directors shall handle the business of the church and therefore should be business minded. They should see into the spiritual side of all business as well. These should lay hold of the vision given them and see it is implemented. Section 1. The term of Office: A lay member is the President of the Corporation. He is an Elder holding the office. (He may be ordained lay minister or deacon). Section 2. Vacancy of Ministate: The vacancy shall be filled by the appointment of a new president by the departing of the Lay Minister or the Board of Elders when the departing of the Lay Minister is not available to do so. In some cases, a Pulpit Search Committee may be selected who will search for Ministerial candidates and submit them to the departing of the Lay Minister and/or elders for final approval. In most cases, when able, it is best to follow the examples set forth in scripture of the person called by God (Lay Minister or other fivefold minister) to pass the mantle on to the one God has chosen and shown him (Joshua 1, 1 Kings 19:19-21, 2 Kings 2:1-14). Imparting the anointing and call of God to the one who has already proven themselves to be faithful (2 Timothy 2:2, Luke 16:12). Section 3. Duties of the Lay Minister President: The Lay Minister President shall be considered the spiritual overseer of the church and shall direct all the church activities. He shall preside over all business meetings of the church and shall be an ex-officio member of all committees and departments. Section 4. Support of Lay Minister President: The Lay Minister President shall be supported according to his needs, either by free-will offerings or by stated allowance as shall be decided upon by the Directors and/or Elders in its regular business sessions. The Vice-President of the Corporation shall also be an Elder. He must be one who is trusted by the Minister with adequate business and leadership gifts to take charge in the Minister/President’s absence. He shall be appointed by the Minister and ratified by the Elders. The Secretary & Treasurer of the Corporation shall be elected at the Local (General Assembly). A secretary or administrative assistant may be utilized in the day-to-day record keeping (accounts receivable and payable) as is necessary. Directors shall be elected at the General Assembly. The Board of Elders shall fill the office of Directors and officers of the Corporation when qualified persons are lacking to fill such positions. After the first 4 years of existence, the vice-president, the secretary and half of the directors need to be replaced by new members on the board by-election. After 4 years (or 8 years for a new board) the president, the treasurer and the director who is sitting since the beginning new to be replaced by new members elected. And this every 4 years in alternation. Example aboard who have 6 members, 3 stays 3 leave. An Elder is elected for life, even if is not sitting in office he is still an Elder and can act for the benefice of the church. An ex-member of the board can be re-elected after 4 years off duty. After a term (4 years) an Elder can be transferred to be a Deacon if the member wishes it. An Elder must be qualified and a member of the Interdenominational Assembly of Churches. The Minister and/or Board of Elders shall appoint the Board of Deacons. There shall never be less than four members on the Board of Deacons. The Board of Deacons shall act in conjunction with and to aid the Minister in all matters of the Interdenominational Assembly of Churches. They shall act in the determination of the meeting of material needs (i.e., food, clothing, financial, etc.) of anyone who might seem to be in need whether they are a part of the Church or not. They may also aid the Minister in any of the ordinances. Requirements: A Deacon must be ordained and a member of the Interdenominational Assembly of Churches. In case of a lack of qualified persons to fill the Board of Deacons, the Elders shall act as the Deacons until the Board of Deacons is established. To see that the church is always in order for services. To assist the Minister in every way possible during the process of meetings. To prepare for the comfort of everyone in attendance. To maintain order and discipline throughout the church. The Minister, Board of Deacons and the appointed chairman of the Board of Ushers shall appoint members to serve on the Board of Ushers. They shall be appointed to serve for one year. These men may succeed themselves indefinitely. The Board of Deacons and the Board of Elders shall act as the Communion Board. One man shall be appointed to serve as Chairman of the Communion Board. It shall be his duty to make arrangements for the preparation and serving of communion when announced by the Minister Director Executive. Failure to cooperate with the church’s program and ministry. Doctrinal departure from the tenets of faith. For any good and sufficient cause. Any incumbent under charges shall have an opportunity for a fair and impartial hearing before the joint meeting of the Board of Elders shall be considered final and the incumbent may have no further recourse. Section 1. Meetings for Worship. Meetings for public worship shall be held on each Lord’s Day and during the week as may be provided for under the direction of the Minister. Section 2. Annual business meeting. There shall be an Annual Business Meeting of the Interdenominational Assembly of Churches This business meeting shall be held at the end of the fiscal year. This meeting shall be conducted in the auditorium of the Interdenominational Assembly of Churches. New officers, elders and deacons shall be installed, and all reports shall be read at the Annual Business Meeting. Section 3. Special business meetings. Special business meetings of the legal members may be called by the Minister or by written petition of three-fourths (3/4) of the legal membership. Section 4. Notice of business meetings. Written notice of the date and place of the Annual Business Meeting and of any special business meetings shall be sent by regular mail to all active members at least ten (10) days and not more than thirty days prior to such meeting. In addition, the Minister shall announce such meeting at the worship services of the Interdenominational Assembly of Churches at least ten (10) days prior to such meeting. Section 5. Quorum. No record of any special or regular business meetings of the Interdenominational Assembly of Churches shall be made unless one-half (1/2) or more legal members are present to constitute a quorum. This order of business may be altered or suspended at any meeting by a majority vote of the members present. The usual parliamentary rules as laid down in “Robert’s Rules of Order” shall govern all debates when not in conflict with this Constitution. All funds needed for the maintenance of the Interdenominational Assembly of Churches shall be provided by voluntary contributions, tithes and offerings. Every member shall decide before God what he or she can cheerfully give to the support of the Lord’s work at home and in the foreign field (Malachi 3:10, I Corinthians 16:1-2; Romans 12:8). All offerings shall be counted by at least two members. Deposits must be made by Interdenominational Assembly of Churches promptly in a local bank. 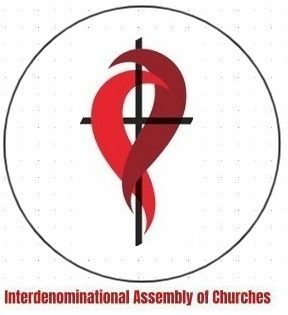 A separate account will be established for the Interdenominational Assembly of Churches. Annual reports will be furnished to the officers and made available to the membership. The treasurer must be a board member (officer/director). However, a secretary or administrative assistant may be utilized in the day-to-day record keeping as necessary. Financial records, without exception, are to be kept in the church office. The Minister shall act as overseer of all financial activities. The church shall provide for the establishment of a School of the Bible Department, young people’s work, relief committees, home and foreign missionary committees, and any other departments or committees as the needs of the work may require. These committees and departments shall be subordinate to the church and shall contribute to the harmony and development of the whole. They shall be under the general supervision of the Board of Elders. The Minister shall be an ex-official member of all committees or departments and shall determine when the need for such committees and departments must be organized. The Officers of the Your Corporation Name member of the Interdenominational Assembly of Churches shall have the power to carry out all of the purposes and powers set forth in Article II. The President and the Secretary-Treasurer’s signature shall be sufficient certificate for negotiating any and all of the provided powers in said Articles. This Constitution may be amended or changed by two thirds (2/3) vote of the officers (directors) at any regular or special meeting called for that purpose, provided due notice of such proposed change shall have been made. Said organization is organized exclusively for charitable, religious and educational purposes, including the making of distributions to organizations that qualify as exempt organizations under section 501(c)(3) of the Internal Revenue Code, or corresponding section of any future federal tax code. No part of the net earnings of the organization shall inert to the benefit of, or be distributable to its members, trustees, officers, or other private persons, except that the organization shall be authorized and empowered to pay reasonable compensation for services rendered and to make payments and distributions in furtherance of the purposes set forth in the purpose clause hereof. No substantial part of the activities of the organization shall be the carrying of propaganda, or otherwise attempting to influence legislation, and the organization shall not participate in, or intervene in (including the publishing or distribution of statements) any political campaign on behalf of any candidate for public office. Not with standing any other provision of this document, the organization shall not carry on any other activities not permitted to be carried on (a) by an organization exempt from federal income tax under section 501(c)(3) of the Internal Revenue Code, corresponding section of any future federal tax code, or (b) by an organization, contributions to which are deductible under section 170(c)(2) of the Internal Revenue Code, or corresponding section of any future federal tax code. At EMMI Interdenominational Assembly of Churches, all employees are part-time and volunteer without remuneration. If a minister needs to work full time, the minister becomes self-employed with a limitation to is the stipend, as fixed regular sum paid as allowance and the minister become a contract minister and will take care of its own taxation report and claims. The basic of the rule is that all ministers need to be a bi-vocational Minister. Upon the dissolution of the organization, assets shall be distributed for one or more exempt purposes within the meaning of section 501(c)(3) (USA) of the Internal Revenue Code, or corresponding section of any future federal tax code, or shall be distributed to the federal government, or to a state or local government, for a public purpose. Any such assets not disposed of shall be disposed of by the Court of common pleas of the county in which the principal office of the organization is then located, exclusively for such purposes or to such organization or organizations, as said Court shall determine, which are organized and operated exclusively for such purposes. Every Christian should find their ministry in the church, including those called to be elders, deacons and ushers. In 1 Corinthians 12:12-13, Paul tells us the Holy Spirit baptizes believers into the body of Christ to function in a particular place. In Acts 20, Paul spent two years at Ephesus training the elders who directed one of the greatest churches in history. For the work of the ministry. To produce unity of the faith. To increase the knowledge of our Lord. To bring believers into the likeness of Christ. To establish believers in sound doctrine. To cause the body of Christ to function in love. The growth of the body of Christ. To direct the church in its walk. Be respected as a leader. Be able to exercise self-control. Be able to teach the Word. Be the husband of one wife. Not be a heavy drinker. Not be easily angered or abusive. Not be insecure or a lover of money. To oversee the church (Acts 20:28). To be stewards of God (Titus 1:7). To teach the Word 1 Timothy 3:2). To represent the church (James 5:14). To be spiritual leaders (Acts 6:2-4). To broaden the ministry of the pastor. To minister healing to the church. To keep doctrine free from error. To provide discipline and direction. To maintain unity in the church. To make decisions in matters of morals. To impart blessings through the laying on of hands. To provide a friendly spirit in the church. Watch out for themselves (Acts 20:28), the flock (1 Peter 5:2-3, Acts 20:28), their home (1 Timothy 3:4-5), contentious people (Acts 20:30), and weak members (Acts 20:35). Wait for instruction (2 Timothy 2:2), spiritual strength (Isaiah 37, Isaiah 40:31, Psalms 40:1-3), maturity (Hebrew 6:1), and direction (Acts 16:6-10). Warn against spiritual attacks (2 Corinthians 2:11, 1 Peter 5:8, Acts 20:28-32), divisiveness (1 Corinthians 1:10-18, Romans 16:17), deceptive doctrine (Romans 16:17), and false prophets (Acts 20:28-30). Worship with the presence (Acts 2:42, Hebrews 10:24-25), prayer (Psalm 100, 1 Timothy 2:8), participation (Hebrews 13:15), and practice (Romans 12:1, 1 John 2:4-6). They must be filled with the Holy Spirit. They must be full of wisdom. They must be found blameless. They must be faithful and trustworthy. To care for the needy. To minister communion and baptism. To be a spiritual example. To usher and welcome visitors. God gave the church a mandate and provided the mechanism to accomplish the task. It’s more than a mechanical structure – the church is a living organism. The Holy Spirit breathes life into the body and will do His work when we submit to His way. A Congregation of Interdenominational Assembly of Churches may be a house church or a tent church. A House Church is a small group of Christians who meet for worship in homes or other non-traditional settings. The group may be part of a larger church or an entirely independent Christian community. For Christians searching for a deeper level in their service to God, house churches have once again become popular. Philemon 1:2 – Apphia and Archippus’ house. Acts 16:40 – Lydia’s house. Colossians 4:15 – Nympha’s house. Romans 16:3-5 – Priscilla and Aquila’s house. Acts 20:7-8 – The disciples in the upper room. Interdenominational Assembly of Churches as an Organic House Church. This type of church meets in various places, not just houses. They are sometimes called organic, simple, or relational. Emphasis is placed on developing a spontaneous, face-to-face community. Temporarily meeting in a house is an inexpensive way to put a core group together before committing to a permanent location. Another alternative is to rent a hotel room or banquet hall. Hotels will typically allow you to pay by the week or service and will usually offer a discount if you meet every week. If you have the funds you can rent a retail, office or warehouse space.